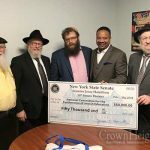 Residents of Crown Heights received a mailer over the weekend pointing out Sen. Jesse Hamilton‘s longtime friendship with the Lubavitch community, his support for tax credits for Yeshiva tuition and his vocal opposition to the Boycott, Divestment, Sanctions (BDS). 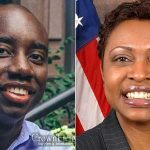 Kings County Politics reported in July that Hamilton’s opponent Zellnor Myrie declined to take a position on BDS, the controversial Anti-Israeli movement, or on tax credits for Yeshiva tuition. Myrie received the endorsement of US. Reps Yvette Clarke and Jerrold Nadler. Clarke and Nadler both supported the Iran deal. Sen. Hamilton is endorsed by Borough President Eric Adams, and Councilman Kalman Yeger. The Hamilton mailer also lists some 30 members of the Crown Heights Jewish community who endorsed Sen. Hamilton. The election will take place on Thursday Sept 13th, the day after Tzom Gedaliah. Jesse Hamilton is what we want in a politician. He is a true friend of the Crown Heights community. On numerous accessions he supported us over his own party. On Tuesday we have the one truly opportunity to say thank you by casting our vote for Jesse. Please encourage your friends, family and neighbors to come out and vote for Jesse Hamilton. 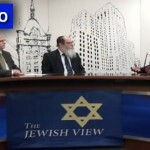 If NYS Jessie Hamilton was a friend of the Jewish community he would not have flip-flopped in opposing and then supporting the building of a second homeless shelter for homeless mentally ill and drug addicts in the middle of a growing Jewish neighborhood. ( The 8 story building next to KFC on East New York Ave and Maple Street). But then again NYS Sen Eric Adams did not fight it either and only gave lip service. These guys are friends of the Jewish community as long as they need you. Or said another way, I would trust them as far as I can throw them. Many Jewish endorsers in photo-ops are recipients of NYS Public Funds, directly or indirectly, which I will give the label “lobbyists”. 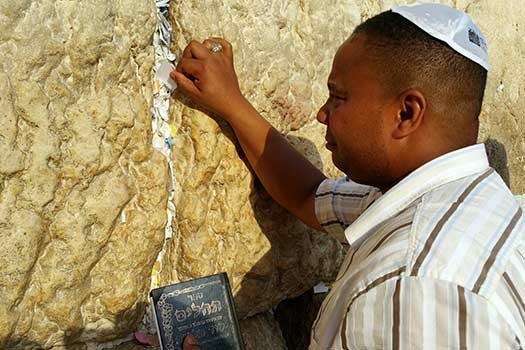 Nevertheless, Jessie Hamilton is a lot better of a choice than Zellnor Myrie, whose political base does not include Jews and whose silence on Israel, BDS and Jewish issues is telling. If the Jewish Republicans register as Democrats to vote in primaries for Jewish interests, and if Jewish community changes, is energized after the CHJCC starts having regular elections, and public meetings at various shuls, then you can get the 3000 votes to determine elections, issues and command greater amounts of allocation of public funds. So get out and vote for Jewish issues by voting YES for Sen. Jessie Hamilton so as to prevent the anti-Israel supporters from coming to power and to get a tax credit for Yeshivas. If you are lazy and don’t vote, politicians will only give you lip service and selfies with popular Jews who have their own agendas/personal interests/Jewish interests. Very well written, and unfortunately, very true. Jesse supports Avos uBanim our children and non Jewish children with programs in Brownsville and Crown Heights he is a good father dedicated to helping children was the president of the school board for years working together with Chassidim who were the majority of the board.Three years when someone tried to kill bochurim on Mivzoyim Jesse was there the article is in this website.He was supportive when nobody else was.Be proud vote for Jesse! I write this for those who may be new to voting. On September 13, 2018 there will be a Democratic Primary followed by a general election. In a district that is 90% Democratic voters, the democratic primary will usually determine the winner. Less people vote in the democratic primary because it is not a holiday and you don’t get the day off, and many people are tired and busy when they come home from work. Therefore, in the less participated democratic primary, a small Jewish block vote can determine elections. When you vote, you are not voting for a man, since no one is perfect, and some are less perfect, you are voting for the power of the Jewish community, if you care most about Jewish issues. If you google NYC Board of Elections, you will see easy steps on where to vote (usually a nearby school), or how to get registered. You can also see CERTIFIED ELECTION results of past elections by neighborhood. There is a record of who voted, and what party individuals are registered in. There is not a record of which candidate one voted for. Therefore, politicians can look at election data and see which neighborhoods are voting. So, rise up early (vote in the democratic primary), and go to war for your community by voting and being COUNTED by an even higher authority.